The Links at Spanish Bay requires precision and patience while negotiating sand dunes, pot bunkers, challenging greens and an ocean breeze. 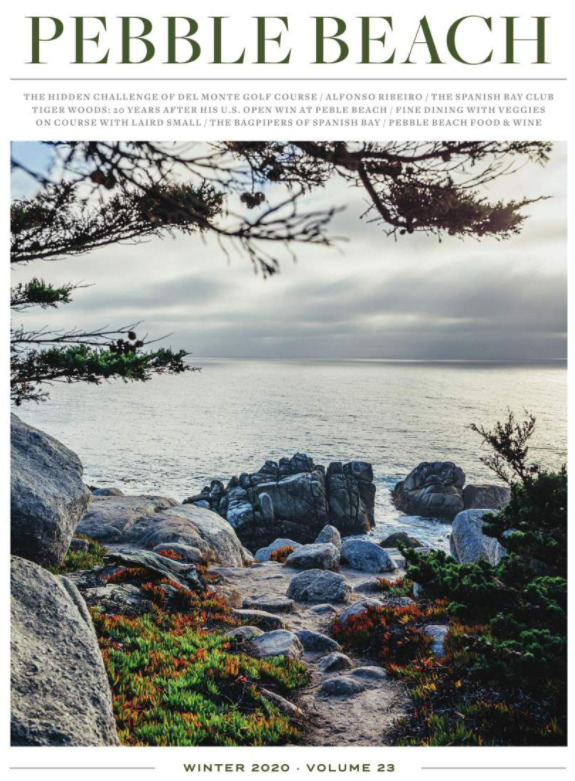 Robert Trent Jones, Jr., Tom Watson and Sandy Tatum teamed up to artfully craft a distinctly Scottish look, blending green and golden hues against a spectacular beachside backdrop to produce a memorable experience unlike any other in Pebble Beach. Ready to make some memories for yourself? A strong drive to the left center of the fairway makes this par-5 reachable in two. A firm green is guarded left by two large bunkers and right by marsh and dune. A smart lay-up in front will avoid the depression on the right of the green. This short but narrow par-4 requires an accurate drive or well-placed tee shot left or short of the fairway bunker. The approach can be chipped into the hill or carried onto this multi-tiered green. Stay below the hole. An accurate 200-yard drive over the left side of the farthest bunker leaves the ball in a grassy swale, inviting a short pitch-and-run to the large green. A demanding multi-tiered green rewards the strong shot and punishes the weak. Better to be short of this green than long. This hole is what Spanish Bay is known for: Risk and Reward. Three pot bunkers in the right center of the fairway will gather any shots hit in their area. Stay left to play safe or right over the dune to a narrow landing area. Second shots to the right side of the fairway will kick left towards the green. A well-named hole with nine bunkers protecting the short route to an elevated tiered green. A tee shot away from the bunkers of 200+ yards will leave a short-to-mid iron to the green. From the fairway, aim at the left center of the green. This fairway funnels to a narrow landing. Risk the shorter approach to the green or lay up and have 180+ yards into this kidney-shaped green. Club selection is the key to success in finding this winged narrow green near the windy seashore. The entire right side of this difficult hole is out of bounds. However, a shot to the right side of the fairway opens this green up. Take an extra club on the approach and read your putt carefully. The tee shot on this double dogleg par-5 is demanding but rewards a courageous shot over the left edge of the protruding dune. Three pot bunkers divide this fairway in the landing area of the second shot. The left route is the riskiest but most rewarding, leaving a short chip to a uniquely tiered green. A fader’s dream. A tee shot to the right side of the fairway missing the corner trees will leave a short shot into a most difficult green. If the hole is on the upper deck of the “top hat” styled green, hit a high soft shot onto the deck or a running aggressive shot into the hill. Don’t leave it on the front edge of this green. A long very narrow par-4 that demands length and accuracy. The fairway funnels to its narrowest point at 220 yards. A deep gully filled with briars crosses the fairway some 30 yards from the green. A short lay up may keep the score down on this hole. This very short par-3 requires an accurate pitch to this ribbon of a green. The sea breezes here can be the key to a successful shot. Be aware of the left greenside bunker. Breathtakingly beautiful from the tee, this long par-5 is spacious but unforgiving in the wind, with out-of-bounds left, marsh and willow to the right. This green slopes towards the sea. Hit to the front edge. The island landing area demands the tee shot to be placed just left of the bunkers, leaving a short to mid iron over the gorse and dune to a severely undulating green with marsh and reeds to the right. Care should be taken from the tee not to over club. This tee is sheltered from the offshore breezes that tend to push the ball into the right greenside bunkers. The hole favors a low running shot to the left center of the green. The tee shot here sets up the hole. Carry the drive over the dunescape and to this narrow landing area. The green is silhouetted against the sky, making the distance difficult to judge, and is severely sloped from rear to front. Favor the right side from the tee and on the second shot. Avoid the temptation to go for the green, as the wind and gorse will usually get your ball. Robert Trent Jones, Jr. teamed up with five-time British Open Champion Tom Watson and former USGA President Frank “Sandy” Tatum to create The Links at Spanish Bay — a links-style golf course that snakes through restored sand dunes. The project was one of the most extensive and ambitious programs ever designed to blend public access, recreation and environmental habitat restoration. After watching his father build a links experience through the dunes of Spyglass Hill for its first five holes, Robert Trent Jones, Jr. wanted to do the same — but for 18. He had the unique opportunity to do so just a couple courses down 17-Mile Drive when an abandoned sand mine became available at what is now The Links at Spanish Bay. "Spanish Bay is so much like Scotland, you can almost hear the bagpipes." "Spanish Bay probably has the best views of any golf course I’ve ever seen." "With the breeze, the firm turf and a bagpiper sounding his tune along the first fairway at dusk, this could pass for Scotland — except that the Scots never had it so cushy." Enjoy the latest photos and videos our guests are sharing during their round at The Links at Spanish Bay!